Licensed Producers / Emerald Health Botanicals Inc.
Emerald Health Botanicals Inc. is a federally licensed producer of medical marijuana in BC. They cultivate high-quality, regulated medical cannabis adhering to the Access to Cannabis for Medical Purposes Regulations (ACMPR). 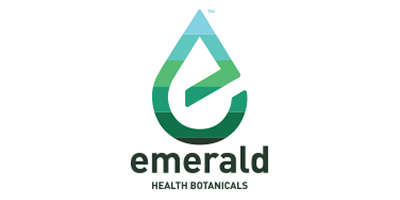 Emerald Health Botanicals Inc. is rooted in science, employing a dedicated team of MDs, PhDs, engineers, and horticulturists who are committed to developing new strains and varieties to better serve their patients’ needs. They have received a federal research grant that has allowed them to further investigate the medical use of cannabis. In the Emerald Health Botanicals online store, patients can explore a variety of distinctive strains, each with varying concentrations of THC and CBD. With over 60 years of growing experience, the growers at Emerald Health Botanicals put extra care into the cultivation, drying and curing of their cannabis. Each strain is laboratory tested for consistency and quality assurance. Step one: Download and complete the Registration Documents. Step two: Submit your documents via mail, or ask your physician to fax the documents. Step three: Wait for verification.